The study, from Visual IQ, a Nielsen Company, looks at how B2C marketing decision-makers are managing budgets. The report has highlighted a number of issues in marketer's confidence over how to allocate, measure and adjust budgets. The report reveals that few marketers have confidence in their team’s ability to determine the most effective way to allocate their marketing budget. Over half of the marketers in the survey (63%) struggle to determine the right allocation, the potential impact of spend levels, and how to adjust budgets in response to changes within the company or in the market. •	Marketers must evaluate performance from the previous cycle and make predictions about what impact future activities will have on the bottom line. •	Gathering accurate data about spend and marketing performance is challenging. Marketers often have to estimate costs and can be penalized if they wish to grow budgets for untested initiatives or if campaigns from the previous year didn’t perform as expected. •	In addition, the process is time-consuming, with some estimates at up to 20 to 30 percent of senior executives' and financial managers' time. Nielsen set out to uncover how those responsible for their company’s marketing budgets make decisions. The global measurement and data analytics company conducted an anonymous third-party survey of almost 200 marketing budget decision-makers at large B2C companies with over USD $10M in revenue and USD $1M in annual marketing spend in the US. Nielsen found a high-stakes arena where there is little consensus regarding the best way to allocate budget for optimal return. 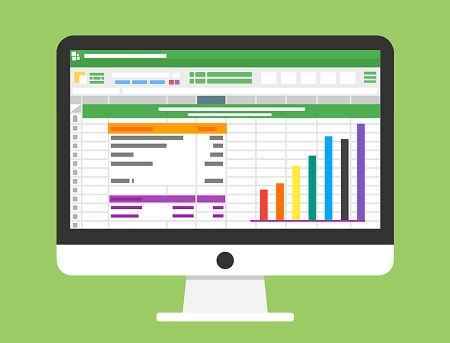 With a wide array of forecasting models, methodologies and tools at their disposal, Nielsen research shows that a majority of B2C marketers cobble together spreadsheets, in-house analysis and agency recommendations, or simply adjust the previous year’s budget. As a result, they don’t have confidence in how they’re spending their company’s marketing dollars. •	Less than half of respondents (40%) feel very confident in their team’s ability to determine the most effective way to allocate their marketing budget. •	63% agree it’s difficult to determine marketing spend allocation across tactics in a way that will drive maximum ROI. •	68% of marketers simply use the previous year’s budget and either increase, decrease or level-fund it. •	A majority (57%) use spreadsheet analyses to predict performance based on budget. Only about a quarter use simulation software intended for these complex calculations. •	Less than half of marketers use key information from marketing mix models (that show the relationship between marketing spend and business performance) and about one-fifth aren’t familiar with these models. •	Marketers who use marketing mix modeling or other advanced analytic solutions to evaluate, simulate and optimize decisions about spending have far greater confidence that they are allocating their budgets the right way. •	Companies that used marketing mix models to inform their budget allocation decisions were 75% more likely to feel very confident in their team’s ability to determine the most effective marketing budget allocation. Deciding how to spend millions of dollars across different brands and marketing options is challenging. But there are ways to make it easier and more accurate. The report offers three recommendations for how to improve the budget planning process. While it’s encouraging that the majority of companies aren’t simply making budget decisions based on their “best guess,” these marketers take a chance that whatever was done in the prior year might not have returned the best result. Using data-driven decision-making helps marketers understand past performance and get information that improves their confidence in budget allocations. Rather than relying on time-consuming, internal spreadsheet-based analysis, consider implementing marketing mix modeling, multi-touch attribution or another analytic solution to evaluate and optimize spend decisions. The ability to be in the driver’s seat when making important budget decisions is beneficial. Use a scenario planning tool to forecast the impact of different spend levels in a virtual environment prior to making real-life budgeting decisions. Marketers today realize that to engage consumers successfully they must have an in-depth analysis of the entire journey -- both online and offline as well as across devices. As the report shows, using marketing mix modeling, multi-touch attribution or another advanced analytic solution to evaluate and optimize budget decisions can give you confidence that you are spending your company’s dollars wisely. Marketing is getting more complex. As marketers in all industries race to keep up with the demands of the digital era, they look for advice that will help them measure the efficiency and return on investment (ROI) for every type of investment across channels, business units, products and markets. Using the right tools, technologies and expertise to get a handle on how spend impacts performance may be the wisest decision a budget-planning marketer can make.